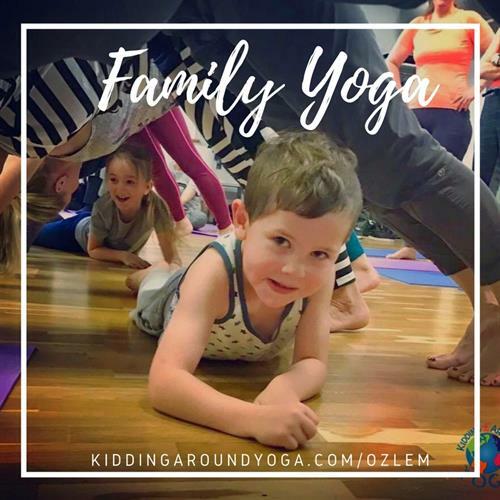 This is a high energy class with simple yoga poses, cooperative games, breathing, and relaxation exercises. We explore self-expression and body-awareness through animated yoga poses and creative play. Parents/caregivers will learn new tools to practice kids yoga at home. Active and fun, the class aims to help kids develop strength, flexibility, concentration, and focus in a social environment. Parents/caregivers are encouraged to participate. This program is 45 minutes and mats provided. Grandparents and siblings are welcome, too.